Qingdao Hifa Arts &Crafts Co., Ltd. is a professional straw company which consists of design, development, process and export. Through innovative design, strict quality management and a serious and responsible attitude to customers, our products in the market have won a good reputation. 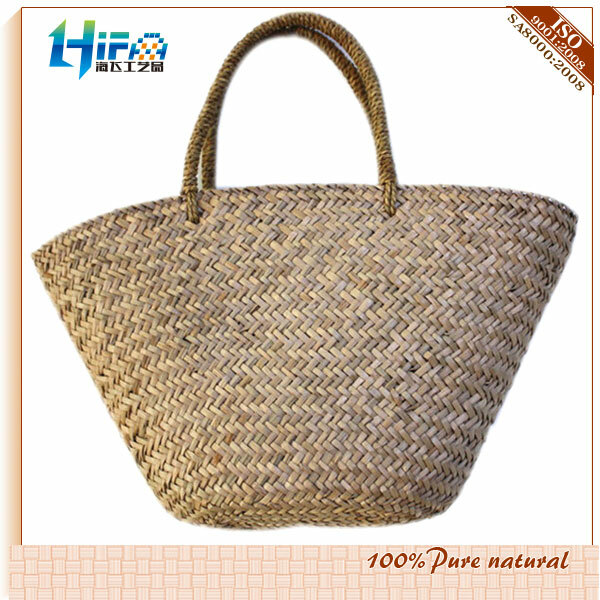 The personnels engaged in straw weaving industry in our company have a wealth of experience in knitting. There is huge social network as well as perfect service system. Grass products in our company have more than 1,000 varieties of nine series. The handicrafts are made of carefully selected grass, rattan, paper, wool, cotton, plastics, leather, canvas. Our products are best –sellers throughout the country and Southeast Asia, North America and other places by virtue of its natural materials and exquisite skills, well received by the customers by their fashional and natural style.